showcasing over 70 presentations on three separate stages. Yesterday in Coventry, Bruce Springsteen dedicated a live full-album performance of Born to Run to the recently-departed actor James Gandolfini. Born to Run is a cinematic album that conjures up the noirish romance of New York and New Jersey seen through the eyes of a youthful protagonist. 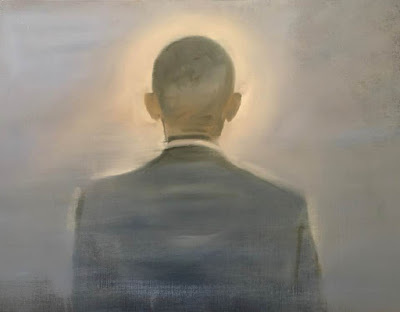 Unspoken desires and Jersey lowlifes haunt this character as he roams a landscape of broken dreams from the break of day until the dark morning hours. Gandolfini's characters seemed to embody this endless search for something more, something bigger, something more real. Gandolfini will be deeply missed. 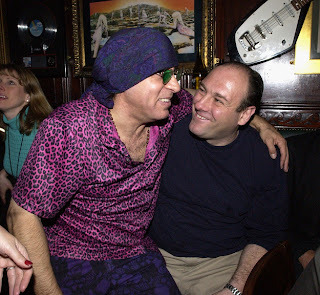 Little Steven and James Gandolfini on April 7, 2002, during a Hard Rock Cafe Presents "Little Steven's Underground Garage" radio show at the Hard Rock Cafe in New York.